Are you facing lots of electrical issues in your home? Do electricians repairing these issues recommend you upgrade your electrical panel? Perhaps, you are facing this situation, or you have seen it in other homes. Electrical panel issues are usually seen in homes where the electrical panel is older and has not been upgraded. The electrical panel is usually set up just after the start of construction on a home. The electrical panel accepts the main power and then distributes it to different part of your home. Any fault in an electrical panel can cause many different kinds of electrical issues or it can disrupt the electricity to your entire home. So, you can understand how it is significant update your electrical panel when needed. A circuit breaker trip helps to stop the flow of electricity. It happens to protect the circuit from overheating and causing other kinds of damage. It may also happen when your home energy exceeds the capacity of your current electrical panel. If you are frequently having this situation, then you may need to upgrade electrical panel in your home. Wires going into your electrical panel may reach the point where they could ignite themselves. If you notice an acrid smell from your panel or notice any discolored marks near to the circuit breakers, there is the chance of an electrical fire. If you observe signs of a fire, you should immediately look for services to upgrade the electrical panel. If you are having a problem and you reset the breaker, but it will not remain that way, or it does not restore power, chances are there is a problem with the electrical panel. As your wiring ages and starts to deteriorate then you might see the flickering of lights, experience shock while touching an appliance, find a burning smell near appliances or see any faded black marks around the panel. If you observe these kinds of signs, there is a problem with your wiring, and you should immediately look for services to upgrade the electrical panel. If your home is older, it may have a fused-based electrical system. Fuses are outdated and don’t trip like the circuit breakers. Electricians used that fuse-based system when homes didn’t have the significant amount of electricity consumption as they do today. 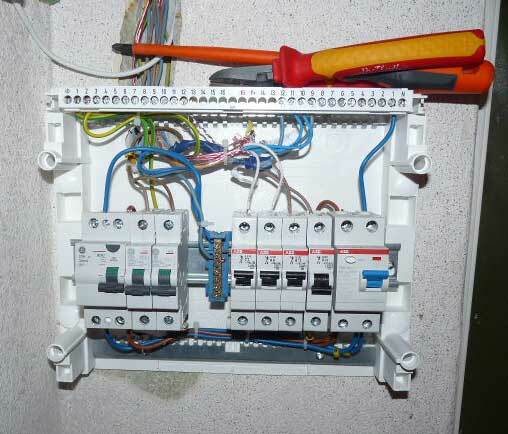 A fuse-based system is not safe, it is recommend to have an electrician install a circuit breaker system. If you are still using the fuse-based electrical system, you need to upgrade the electrical panel with circuit breakers. If you find any of these signs with your electrical panel, you should immediately look for a residential electrician to upgrade your electrical service as a solution for your electrical panel issues. Many online portals are offer services for electrical panel repairing and upgrading. You can refer to these online electrical upgrading services to acquire complete repair services, at your home. Author: Amit Sharma is an all-time professional Writer and very honest sincere and up-front blogger. In general, he tries to blog up-front and honest, without being argumentative or confrontive. He takes care not to offend, but sometimes, he just wants to bash intelligence into some brains.